Hello, Monday!! Who’s ready to put a little SPRING in their step?!! See what I did there… 😉 Y’all know I LOVE me some SHOES so it was time to round up my favorite gems for this season. TWO must-have ‘colors’ for spring are: white and blush. They are both great neutral hues that can be worn with everything. If you’ve followed along with me for a minute, you know I’m quite obsessed with BLUSH. Some of my favorite kicks are pretty pink beauties – especially these BOW mules! 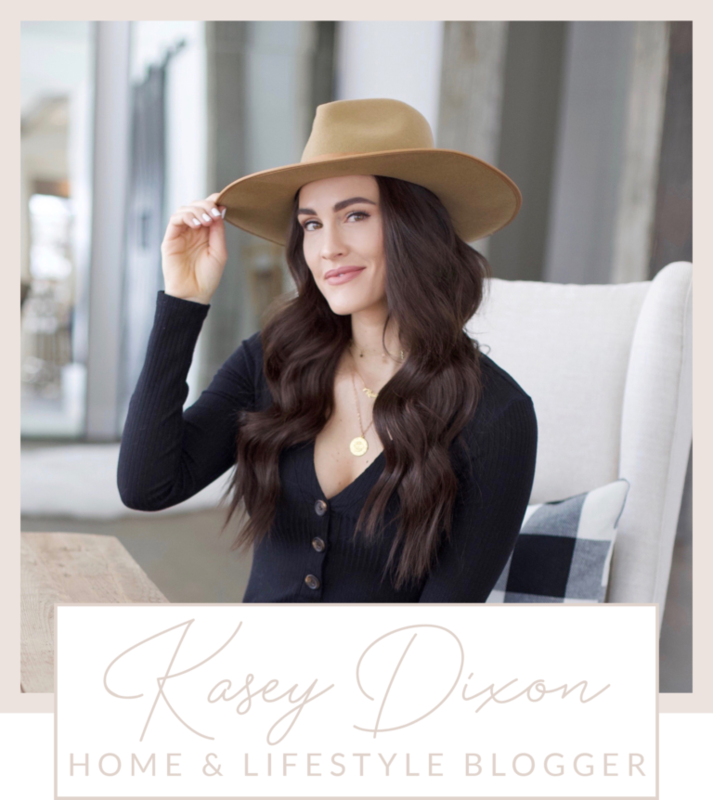 See below to shop all of my top picks. Next up are a few WHITE babes that I NEED to share with y’all. This past week I bought a new pair of white heels and white mules… let me tell you babes, they are like, SO freshhhh! 🙂 This past weekend I paired my new pumps with a cute spring set – check out the look here. Every lady needs white heels in her closet – it’s a spring staple. Good new y’all, I have found multiple DEAL options – Steve Madden ($60) & Boohoo ($23). These are just a few of my favorites – see below for a round up of my top white picks. I’ve been wearing MULES on the reg this past year. If you haven’t tried out this trend, you need to! Trust me, they are SO cute and comfy… check, check! AND let’s remember boos, you don’t need to spend a bunch of moolah!! I found a great LEOPARD print option on sale (35% off! ), and knew I needed them in my life. I wear them ALL THE TIME – you can see them on me here and shop them here. I’m pretty sure y’all need these in your wardrobe 😉 (FIT NOTE: these fit true to size) See below to shop all of my MULE faves. If you’re on the hunt for a comfortable spring sandal, slides are where it’s at! I have a faux fur pair and currently have my eye on a classic Adidas pair. See below for my top picks! As I mentioned above, white heels is where it’s at this season. 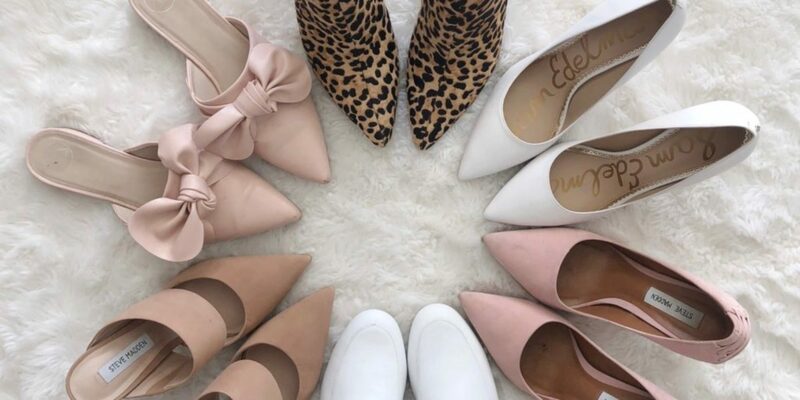 If you’ve already got that covered, the next option would be a pair of pastel pumps. My favorite go-to heel for the price, comfort and style are the Steve Madden Daisie Pumps. They come in every color and are a great budget-friendly price of $89!! The colors I’m currently crushing on for Spring are: lavender, light blue and yellow. Color is the perfect way to add a little SPRING into your outfit – take a basic white tee, white blazer, skinny denim and add a fun POP o’ color with heels! Happy SPRING SHOE shopping, babes! Comment below for questions. Share the post "Spring Shoes Under $100"